The head of an Orange County-based electronic component reseller has pleaded guilty to charges that he knowingly supplying counterfeit parts to the US military. Rogelio Vasquez, who also went by the names Roger Vasquez and James Harrison and ran a business known as PRB Logics Corp, agreed a plea deal with prosecutors last month in which he admitted wire fraud, trafficking in counterfeit goods, and trafficking in counterfeit military goods. Court documents from the case reveal that it involved infringement of trademarks held by integrated circuit (IC) companies including Xilinx, Analog Devices, and Intel. 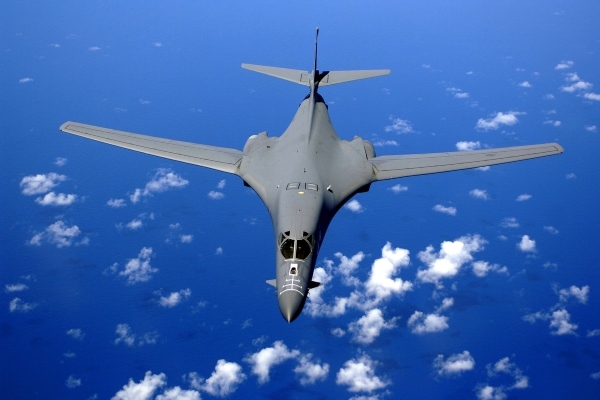 Counterfeits versions of the ICs included parts that were used by the military in aircraft such as the B-1 Lancer Bomber. As part of the deal, Vasquez has admitted buying thousands of the fake ICs from “at least July 2009 and continuing through May 31, 2016.” He instructed suppliers in China to repaint and remark “old, used and/or discarded ICs” to make them appear as new. He also told a testing laboratory in China to provide two versions of test reports – one to Vasquez with all the test results, and another “sanitized version” that had could give to the purchaser. He was arrested after selling a total of around 82 fake Xilinx chips and 24 counterfeit Analog Device chips in five transactions to an undercover federal agent posing as an electronic reseller between November 2015 and May 2016. The value of those chips was around $91,000. The total maximum sentence faced by Vasquez for all offenses to which he pleaded guilty is 60 years in prison, a three-year period of supervised release, and a fine of $9.25m or twice the gross gain or loss resulting from the offenses. The penalties may also include restitution to victims of the counterfeiting of around $800,000 and deportation. He is due for sentencing on May 10. In 2010/2011 the US Department of Defense said it had identified upwards of a million counterfeit components in the military supply chain, while a report from market research firm IHS published in 2013 indicated there had been more than 12m reports of counterfeit electronics parts in the prior five years.